As anyone with freelancing experience or a regular job with a bad boss can tell you, working for someone you don’t get along with or don’t see eye to eye with is the worst. It makes you less motivated to do the work. And because of undue stress, ultimately you resent the work a feeling for which no amount of money can make up for. This is why it's important to choose who you work with. If you freelance, you do so for a reason, probably several, but I’m guessing one is the freedom to be your own boss. So you don’t want to put yourself in a position where you hate working for yourself or hate the work you are doing for a client. If you do, then you are never going to put your best foot forward. When you work for yourself it’s more important than ever to make sure you’re doing the best work possible. Not only because it makes you happier, but it will also help you to grow your business. Even if you do incredible work for someone you don’t like, chances are that the people they’re going to refer to you will also be people you don’t like. While this won’t always be the case, generally speaking people tend to travel in groups of similar personalities and work tendencies. So even if you do the work and it’s you know it’s good enough, working with someone you don’t like can sometimes be mutual and lead to a negative review of you. When you’re a small business working just for yourself, any negative review can really hurt. So how do you actually go out and pick your clients, especially if you’re just getting off the ground and it feels like work is really scarce? First, keep networking. Keep talking and don’t sign the contract until you’re sure you want to work with them. Look at how they communicate in emails or over the phone. Do they keep changing their mind on what they’re actually looking for? Because if they’re doing it now, they’re definitely going to do it when you’re working with them and the projects are never going to be done. Ask around to see what others experiences have been working with them. If no red flags have appeared throughout your pre-work with them, then you’ll likely move forward with the work, however, please make sure that you have a contract which clearly outlines your work. This means it should include the a number revisions you are willing to do as part of the contract price. If you’re concerned about being paid on time, you may also choose to include a late payment fee. Alternatively you could require an upfront deposit. Just make sure you have a contract that outlines what you need to ensure you have a good work experience. I personally use and love And.co for creating and sending contracts, I use the free plan. It allows you to create and send the contract and then receive feedback, once the terms are agreed to, both parties can sign the contract online. 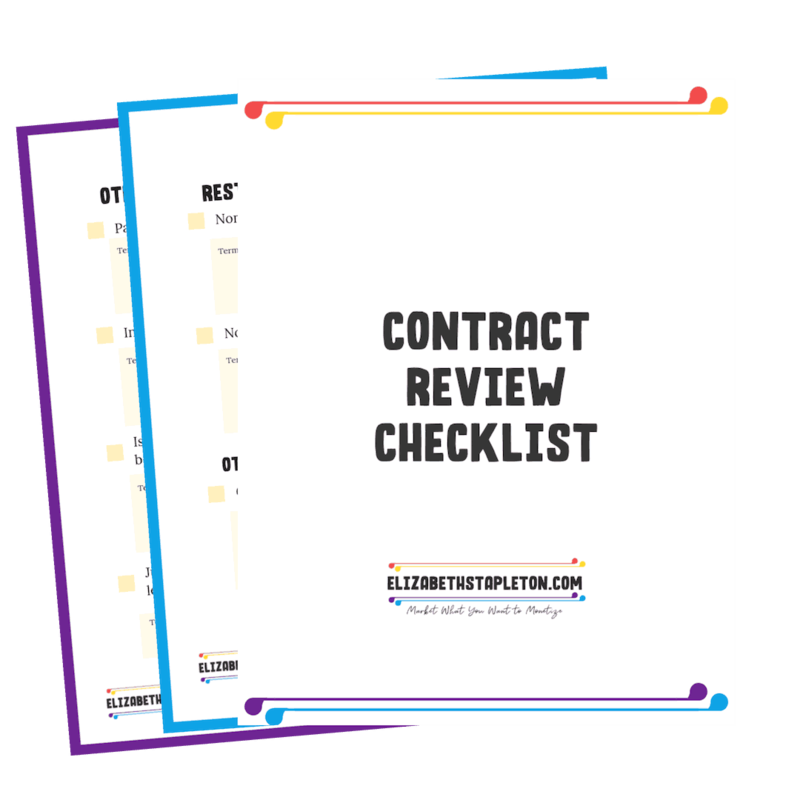 If your client is giving pushback or asking for a lot more revisions then was part of the contract, then don’t be afraid to sure to stick to your guns. Explain that you’ve already met your contractual obligations and that if they need more revisions they will cost more money. Because if you’re agreeing to do work that you aren’t being paid for, then you’re going to resent it or possibly not produce your best work. Before commencing with work with your brand new client, make sure you ask them what the best method of communication will be. Sometimes it’s email, others, a phone call, and still some might prefer a Facebook message. There are so many ways to communicate, you want to make sure you want to know their preferred method so that you can get the answers you need quickly to move forward with your work. If you’re getting any bad vibes when are talking to a potential client, it’s probably best to just steer clear and not work with them. But there are also lots of ways to include fail safes in your working relationship to ensure even if they aren’t the ideal client you end up happy with the work. Remember you don’t have to take on every possible client, and not taking on potentially troublesome clients can leave room for you to take on better ones. You don’t want to miss out on great client’s because you’re all booked up with bad one.